Discussion in 'Android Devices' started by Fabolous, Aug 10, 2010. 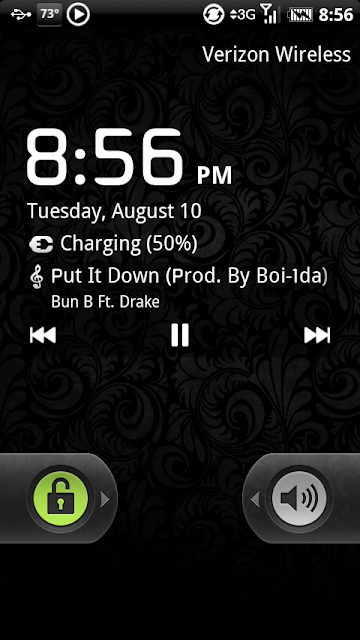 This is a port of Manup456's REVOlution for the Motorola Droid X. It is meant to be run on deodexed Froyo Android 2.2. The R2 version was made with files from Tranquility 1.5. It should still work on any deodexed 2.2 though. DISCLAIMER: I am not responsible for anything that may go wrong in this process - Though with the SBF file now, it is almost impossible to brick a Droid X. *Note: the goodies package is NOT to be installed w/ Clockwork recovery. Just unzip it with your computer or ASTRO and the folders have the pictures in them. 4. Install REVOlution (and customizations if you wish). Note: If installing custom fonts, install REVOlution first, then apply patches. 5. Enjoy your new theme! 1. Download 'MetaMorph' from the market. Run it once and grant it root permissions. after this reboot, you should notice a different status bar, but the clock and time will still be black. the following reboot will take between 3-5 minutes! Now the clock and time, etc. will be white. 5. Now, fire up MetaMorph and choose unzip/extract new theme, select REVOlution, and let it do its thing extracting. Once it's done extracting, you can apply all the themes (for the apps), or apply only the ones you want. 6. Using the 'Files' app that comes with the Droid X, you can navigate to sdcard/revo and install the Facebook and Twitter apps if you'd like. You'll need to uninstall the versions you have installed already. 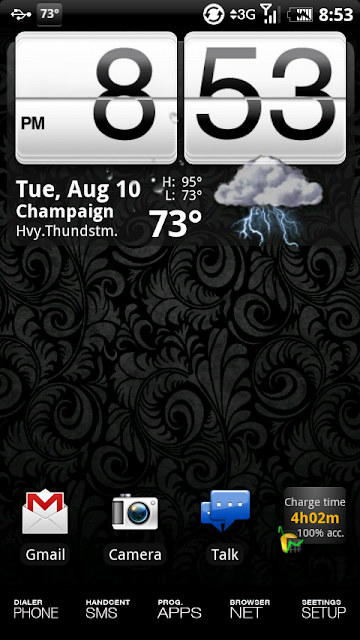 These apps provide themed widgets. sqldroidx, zane!, Phone Gnome and 13 others like this. *thanks to Benny879 for the themed Facebook & Twitter! Nice!! is that wallpaper included?? Yep, it's in the goodies folder. The Twitter and Facebook apps are now the latest versions. Also, I forgot to theme YouTube, which is now themed. Enjoy! 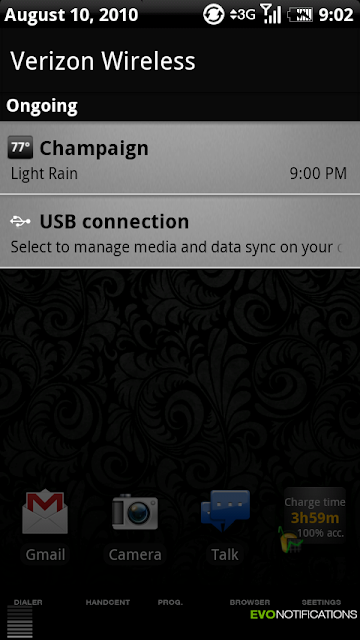 EDIT: my power controller widget doesnt look like the one in the picture. What if I have NexthemeV2 and want this one now? Do I just do the same thing as I did before to install it? EDIT: I just did it over it and work successfully. hey fab love it man!! quick question tho, if i wanna go from nextheme to this how do i do it??? Hey thanks for this theme, I had done the nextheme, but liking this one more, especially facebook and twitter widgets, which I know I didn't have to change the theme to use those but took it as a package deal. As for applying this theme over nextheme, I just followed the full instructions and it worked nicely for those that are asking about it. First of All, thank you so much for both this theme and NexTheme. I have tried them both now. Would it be possible to post a metamorph theme to restore back to stock? I don't plan on reverting any time soon, just would be convenient. Also, I don't know if there is one out there, but I would really enjoy a stock android theme, not with the blur icons, but with the normal battery, 3g status, etc. Even if you are unable to find/compile any of what I suggested, thank you so much for what you have already done! What do I do with these Goodies???? If you are using LP you can long press any icon in your dock like say if you had your camera icon there and then select change icon then navigate to the icons from the goodies folder, I pressed folder then I found the folder. Anyway yeah choose the icon for whatever icon you are changing. And then it looks like Fabs dock. One problem I am having is when I set my LP icons to the ones that came with this theme, after I use any app they go back to stock.. How can I stop this? It is just the two most outer ones and then the middle one for the App list. Now this is a nice addition to my X. Thanks Fab. Is that sweeter home with the writing for icons or did you make those images to use with launcherPro ? Dont suppose you have a link to this awesome wallpaper? I'm using LauncherPro. The icons are similar to those in the goodies folder, but in my opinion much cooler. I found them while trolling the Evo wallpaper board. Unfortunately, there was only 5 of them: Call, Text, Apps, Web, Mail. I made the Voice one, though it's not quite as good as the others (it's smaller and the spacing isn't quite right). I've attached the icons, along with the template I used. It's not the template which was used for the original icons because that dude didn't upload one. The font used is Comfortaa. Hey Fab, how would we go about removing this theme? I know I can just put the framework-res.apk and services.jar back, but how would I get the themed apps ... dethemed?